Nothing makes a convivial event as great as an advertisement campaign. E-commerce retailers must use the opportunity that arises with time in order to roll out discounts to customers. Keeping some important e-commerce conversion tips will certainly help. During special events like the holiday season, Cyber Monday and Black Friday, customers are ready to empty their wallets and swipe their cards. The shopping season warrants the sale of almost everything starting from fashion to fly across the globe. For all online businesses, it is a make it or break it a moment. Campaigns must be designed with the target audience in mind. You should rely on data from different sources in order to conjure an effective advertisement campaign before the sale begins. Specifically during the last few months of the year, the sales skyrocket. A research by National Retail Federation concluded that 20 to 40 percent of total sales (for small and medium retailers) for an entire fiscal year happens during the last 2 months of the year. People need to purchase gifts and cards for friends and families, hence a shopping spree becomes inevitable. For every business, it is essential to plan in advance to design a perfect holiday drive. For e.g. minimum free shipping threshold, items for sale, create bundles that will enable a customer to make a final purchase. Concentrate on the analytics of the previous year – will help you in preparing for the current year. Learn what customers are looking for – knowing what people might buy helps you to design a customer-centric campaign. Get news update – about what is the latest trend over social media. Check Google Trends – Google Trends gives a clear picture of in and out trends on specific items. In order to benefit from this, here are some tips and tricks that you can leverage. What matters to the customers is value. You can easily win sale conversion by focusing on providing value to your customers through various channels. Using social media channels is the perfect idea to spread the buzz about the upcoming holiday sale. Taking the leverage of various social media channels you can promote the attractions of the upcoming sale event as well as reach out to the different segments of customers. Below social media stats show activities over various channels. Best practices to promote sale event on social media and drive sales. Choose effective channels depending upon your industry and target audience. Use the hashtag to create excitement before or during the festive sale. Upgrade social media pages by interlinking and optimizing ‘about us’ part. Post the sale offers multiple times in a day and monitor it. The different omni channels you choose for promotion helps the customers to go through the positive feedback, success stories, and social conversations related to the products. Social integration and product shares over social media help in maximum sales conversion during the holiday season. Not all the customers are aware of your business strategies. It is quite obvious that a first-time visitor to your webpage will be having many queries in some pages or products and look for real-time support. If the customers fail to get an instant response they will certainly leave the website that will impact sales. To refrain such scenarios and maximize the sales conversion rate, offer real-time live chat support on your website. Why live chat so important for sale conversions? 24*7 live chat support curtails the resolution time limit and raises the chances of a final purchase. Also, use live chat extensions that help the web owner to run the web without spending much time to search for contact details or email addresses of the visitors. How live chat can be used more effectively? Holidays are undoubtedly very important for most of the eCommerce businesses, so offering live chat support to the customers for round the clock can do wonders. Maximum traffic comes from the mobile devices during the festive sales. If you want to find new leads, then mobile is the place to go. On average, a person spends 3.1 hours per day on their smart device. Smartphones can be used for marketing both products and services through targeted ads. Since the ads appear in between content, it is difficult for customers to ignore them. Making websites mobile first is the latest trend. Users are searching for services and products on their smartphone. Hence, they need to be provided with a website that is fully optimized for the smartphones. To check if your website is optimized for mobile or not, go for a mobile-friendly test by Google. Google’s mobile-first indexing has made is even more essential for companies to focus on the responsiveness of their website. Another stat that corroborates this point is that 52.2% of online traffic in 2018 was generated by mobile. This percentage is likely to grow further at a steady rate. Landing page, perfectly optimized makes a significant difference. The idea of festive theme makeover takes things to a completely new level. Get started with setting things in advance for the upcoming holidays. Brighten up the website as well as the social media pages and email newsletters with holiday themes to get better prospects. For example, you can create a black Friday or cyber Monday landing page for running effective campaigns. Convincing festive makeovers help to turn your visitors to customers and your store becomes the best option for the future as well. Simple and easy navigation is something that every customer looks for. When the customer fails to find the exact product he leaves the website. It is one of the main reason for the low visibility of products available in the store. Smooth navigation to the product improves chances of sale conversions. The seamless navigation routes the customers to the products they are looking for in just a click. While refashioning your landing page with banners of the biggest festive season opportunity, focus on building easy navigation to direct the customer to the desired product quickly. In case you want to redirect your visitors to the Christmas, combo offers like Christmas tree, chocolates, dress, and cake then concentrate on making the page more appealing and easy to approach for the visitors. Not every organization has the pockets for predatory pricing. Instead, small businesses and startups should rely on targeted campaigns during festive seasons. Generally, customers splurge during the holiday season just to celebrate a happy mood. And they look for good deals, discounts, and offers. Propose special discounts and offers during the holiday sale season. It is an amazing way to boost sales during the holidays. Increase the average order value i.e. the amount your customer spends on each purchase during the holiday season. It can be done by upselling and cross-selling users on your website. Plan special combos of related products or recommend a product that will match the recent purchase of the customer. For e.g. Upselling and cross-selling simultaneously add more value and level up sales especially during the holiday season. Customers always have weighed the concept of personalization. Knowing your existing customers and recommending according to their last purchase along with festive offers and discounts enhances sales conversion. Personalize the shopping experience of your customer in different ways. Make product category pages for specific visitors around holidays. Following such a strategy will help you to minimize the browsing time for customers and reach out the desired product instantaneously. And if you haven’t yet learned how to start a blog, this is a great opportunity to launch one so that you can also create roundup-style articles recommending different types of products your customers may be interested in. Customers regularly browse coupon websites for attractive offers. Posting your sales offers on these websites are definitely going to generate some leads. Websites like Groupon, Couponraja, etc are a great affiliate platform that you can leverage for increasing total sales. In today’s time, maximum consumers use coupons. It is one of the vital attributes to your marketing strategy to bring in new customers as well as retain the associated customers and to accelerate maximum sales during the holiday season. 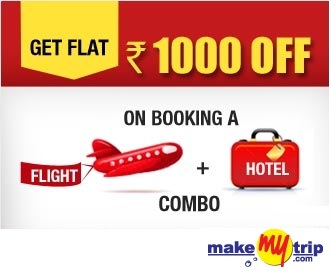 For e.g., Travel aggregator sites like MakeMyTrip or Skyscanner offer special offers from such sites along with an exclusive discount for some banks while making payment. Shipping costs have always been a key factor in the final decision for shopping for the customers. Not only shipping time but also delivery times are the major reasons for cart abandonment. Customers look for low costs or free delivery as well as fast delivery. Especially during the festive sale time offering free and quick shipping to the customers can drastically bring a difference to the sales figure. Positively of course. Allowing free shipping to orders no fixed amount lures the customers for choosing your store. One of the best examples is Amazon’s prime delivery service that can deliver products to the target areas within an hour or even less along with free shipping. With the help of the prime service, Amazon marketplace shipped more than 5 billion products across the globe in the year 2017. Your website and especially the landing pages must contain a countdown timer for the sales end time. This creates more curiosity in the customers. Websites like Amazon and Udemy have used this technique effectively to skyrocket their sales. Getting closer to the magical moment you are waiting for is definitely part of happiness. Adding a deal countdown timer on your landing page helps your customers stay tuned up in expectation of the much-awaited joy to arrive soon. Email marketing will cost your organization some money, hence ROI becomes an important factor automatically. In a survey by MarketingSherpa, it was noted that 72% of people want to receive promotional content through email. Also, for acquiring new customers, email marketing is much more effective than Facebook and Twitter. While planning the email campaign during the festive sale season, make sure the email body comprises the content that is meaningful and helps the customer. The email should be interactive and promotes the offers the product suggestions. Checkout should be dead simple and it is extra beneficial during holiday time. People do not want to waste time for complex checkouts. Provide your visitors with maximum modes of payments at the same time keeping the payment procedure simple. Completely focus on the sale. That’s it! Do not ask for extra details from the customers. Once sale never forgets to follow-up. Keeping some info as secret or making it last minute reveal develops curiosity among the customers. The existing, as well as new customers, are anxious to know about the secret offers. Curious customers repeatedly visit your website. For e.g. Visuals showing “Keep an eye on the 10 days advent to be one of the first to reveal the exciting secret parcel”. With such e-commerce conversion tips, you can also convince your customers to subscribe to the newsletter in the hope of being notified of this ‘secret parcel or offer’. This e-commerce conversion tip is growing popular among many online stores. It is always better to stay ahead in planning business strategies. And when it is related to the holiday campaign, you can’t keep it for the last minute. It should be planned in summer months for winter holidays and vice-versa. As per National Retail Federation (NRF), “Each year about 40 percent of consumers begin their Holiday shopping before Halloween. Many people like to start shopping early to spread out spending”. Following early planning and executing campaigns on time will certainly help you to garner more sales. Customer hesitation impacts the conversion rates. It may be due to “maybe later” kind of thought or a better offer, or a change of heart. Do not let go such shoppers due to such reasons as each customer makes a count. Offer some last minute extra discount to the cart items that compels the customer for making a final sale. This holiday sales conversion tip might bring you unexpected profits. Product videos are a great way to educate your customers about your brand so that they are assured about the quality that boosts their confidence for your brand finally increasing conversions. Successful checkouts are what you need to focus during the holiday season. People are generally in a hurry and complex checkouts might end up declining the sales rate. Offer your customers ample ways of payments. Concentrate on the sales not asking the customers to register while checkout. Making the registration optional and never ask to provide other details. Simple checkouts make happy customers and this will make them reach you again. When it comes to e-commerce every trend and action helps. Sometimes the customers fail to complete their purchase as the deals and offers expire. Extending the deadlines for shipping helps to accelerate the complete process, from order fulfillment to payment, to shipping, to delivery. Following such holiday sales conversion tip, you win your customers to return back and complete the missed out purchase. Such an attempt will also make them visit your online store in the future. At the same time, you can enjoy a good rate of sale conversion. The rate of shopping cart abandonment usually goes up during the holiday season. For such customers, there should be an abandoned cart message that is sent via email, as well as push notifications or SMS messages as a gentle reminder to customers. It happens that due to some genuine distraction the purchase remains incomplete, intending to return and purchase later. Sending win-back messages that should be amazingly persuasive, perfectly concise, and very polite. Just remember you have to gently remind the customer to go ahead with the cart, carefully ask them to return and provide a clear call of action. For e.g. “Your cart is waiting”, “Guess what, the price for some items in your cart has dropped. Buy now!”, “Something good is waiting, login to avail the offer”. Give ideas to your customers while they add on to their wishlist for them or others. You can use simple taglines such as – “15 amazing gifts for coworkers”, “10 fascinating gifts for your teenager” or “for your loving mom”. You can also include a section of gift guides and ideas that will help your customers to choose the list of products from the section. With this, you save time, avert confusion and of course accelerate sales especially during the holidays. Holidays are the best time for all businesses. The reason behind this is the bumper deals and offers online stores offer on all products. In order to make bests out of it, you need to go ahead to plan in advance, learn customer needs, offer good deals with free shipping. Follow the It’s over to you now to implement the above sale conversion tips and practices to earn maximum during the holidays.